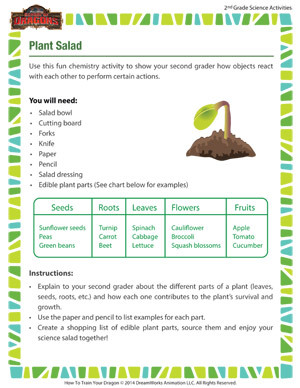 In this fun activity for second grade, your child will learn about the different parts of plants and the difference between edible and inedible plant parts. In the end, he will have a yummy salad to show for his efforts! For more science printables for second grade, do visit the School of Dragons.